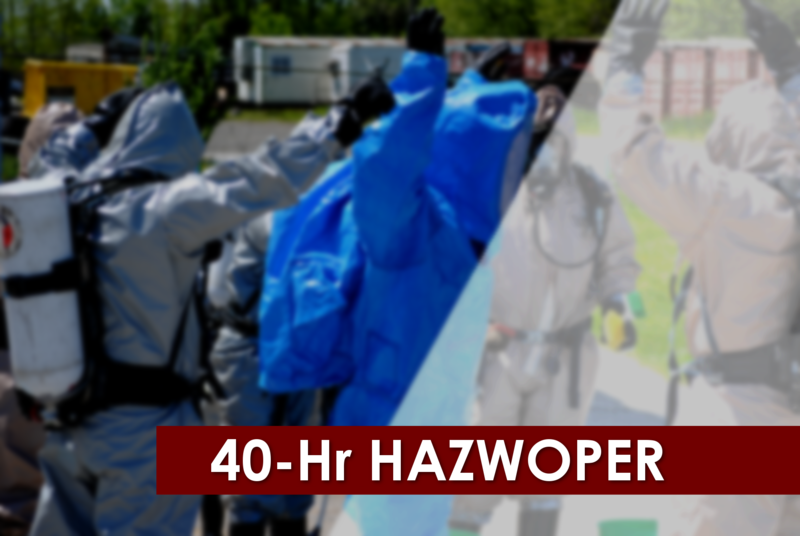 Hazardous Waste Operations & Emergency Response (HAZWOPER) is a 40-hour class that mixes hands-on training and lecture and is geared for all employees who work at hazardous waste sites. Meets the requirements of OSHA's 29 CFR 1910.120. Employee training requirements (29 CFR 1910.120 [e]). Engineering controls, work practices, and personal protective equipment for employee protection. Procedures for handling drums and containers. Procedures for emergency response by employees at uncontrolled hazardous waste sites. Sanitation practices at temporary workplaces.